Should You Be Mulching Your Grass Clippings? We often get asked which is better for your lawn: bagging or mulching your grass clippings? If at all possible, you should be mulching your clippings. The clippings add vital nutrients back into the soil that they may not otherwise get. 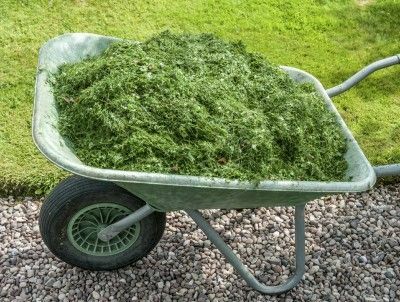 By mulching your clippings, your grass is receiving 25% of the total nutrients it needs for a whole year! Here at Taylor Anthony 365, we use mulching kits like this one on all of our John Deer Zero Turn mowers! What does this mean for our clients? This means that you get all of the added benefits of mulched up grass but without any of the work yourself! If you’re interested in learning how to become one of our monthly lawn maintenance clients, give us a call anytime at 904-230-3386.